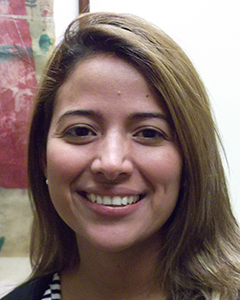 Ninoska Diaz brings 10 years of experience to ELI. Ninoska joined ELI as Accounting Manager in 2013 and was promoted to Controller in 2016. In this role, she is responsible for the day-to-day management of the Finance team, including developing and maintaining accounting principles, practices and procedures, financial reporting, year-end audit preparation and the support of budget and forecast activities for both ELI and Research projects. Ninoska holds a B.A in Economics from La Universidad del Zulia, Venezuela.